Reliable source of plumbing and tile, they are very straight and honest. They did an amazing job. Extremely fair, the guy put in extra time and didn't charge me for it because they felt like they needed to fine-tune a couple issues after the installation was done. I would say that Tom, the owner, pays very close attention to detail. Attention to detail in general is pretty difficult to come across with most contractors nowadays, but he does an overall good job. The best thing would mostly have to be Tom's attention to detail. If there was the smallest, most minor issue or problem, he was upfront and spoke up so he could take care of the issue in a timely manner. I was very happy with everything. His workmanship was fantastic. I would recommend him to anyone with no hesitation. Tom is a consummate professional who always goes beyond his call of duty to make his clients happy. I've recommended both Bay Bathrooms And Kitchens and Todd Inspections countless times, since I have in fact used both companies. Whenever someone asks me for a recommendation, Tom is the first guy that pops in my head. I like Tom's reliability, honesty, integrity, and how he's always very forthright. He knows this industry like the back of his hand, and I'm sure he could do it all with his eyes closed. Tom Todd is owner of Bay Bathrooms and Kitchens. Bay Bathrooms and Kitchens provides a complete range of remodeling services for residential clients throughout the Bay Area. The company is known for its Client Protection Package™—a valuable collection of benefits that ensures each client’s best interests are given top priority in nine key areas, including guaranteed start and finish dates, guaranteed price protection, air quality maintenance with a unique dust protection tunnel, complete workers’ compensation coverage for all crew members, and more. 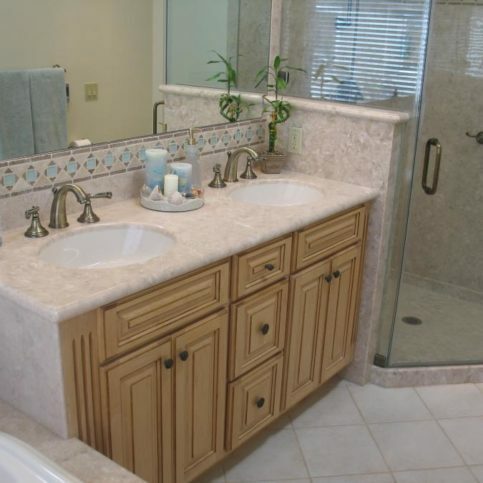 Bay Bathrooms and Kitchens provides free, no-obligation estimates for the convenience of its clients. 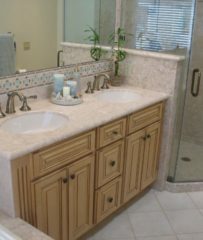 For more information, owner Tom Todd invites potential customers to visit www.baybathroomsandkitchens.com. 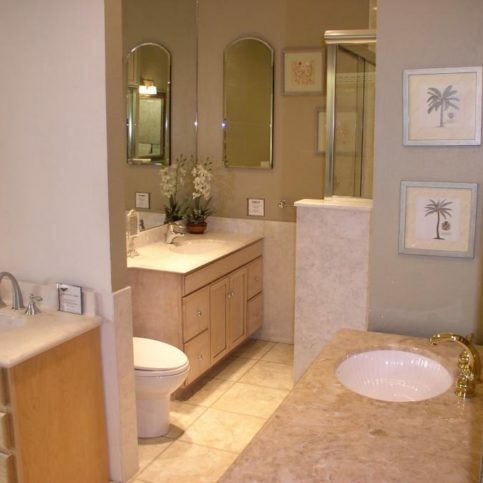 Bay Bathrooms and Kitchens remodels bathrooms for residential clients throughout the Bay Area. The company is known for its Client Protection Package–a collection of benefits that ensures each client’s best interests are prioritized in nine key areas, including guaranteed start/finish dates and price protection, air quality maintenance with a dust protection tunnel, workers’ compensation coverage for all crew members, and more. Look through magazines or websites to get ideas for materials that appeal to you. 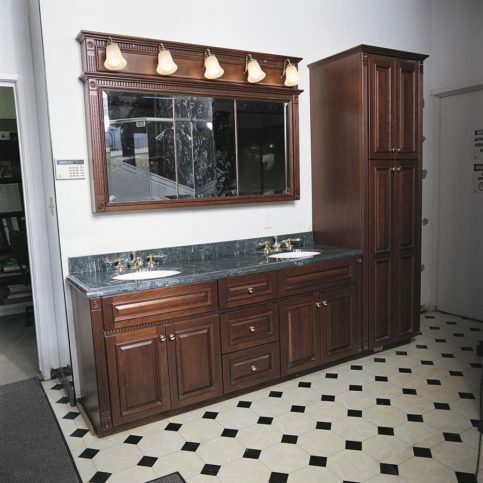 Visit local kitchen and bathroom showrooms to see materials, products, fixtures, and other options in person. The feel or look might be different in person than in a photograph. Keep a file of samples and photographs that appeal to you. Show your contractor the samples and photos you like and ask for their opinion on the best materials for your space and lifestyle. Don’t be afraid to ask for tips or recommendations for similar materials if the samples you’ve seen don’t meet your needs, budget, or specifications. Think beyond trends. Granite countertops may be popular, but they might not be a good fit for your budget or kitchen. Your remodeling contractor should present you with options that are a better match for your needs and resources. A: It depends on what we’re remodeling. The size, scope and even materials chosen for the job dictate how long the project will take to complete. Once we determine all those factors, we’ll give you a time estimate for your specific project. Q: Can you help me design my project? A: Yes, and we can also give you suggestions on how the design should flow. Q: Will I be able to access my home while work is underway? A: It depends on the type of job. For example, dust encapsulation materials can make it difficult to access and move through the house. We’ll help you understand what type of access you’ll have to your home once we determine the work that’s being done and the timeline of your project. Q: Can you help me choose materials for my project? A: Yes. The materials you choose will dictate how long your project will take to complete, and they’ll impact the cost of the project as well. We’ll help you decide which materials will work best for your needs. A: Yes. We’ll discuss the permits you need when we’re going over the initial estimate. Local municipalities want us to do several things during a remodeling project that many people aren’t even aware of, so we share that information early in the process so everyone is on the same page. Q: What’s the best type of countertop to install? A: There are pros and cons with every countertop material, so it really depends on your preferences. If you don’t know what you want, we can show you some products and give you information that will make it easier to decide. Q: Is it safe to install carpet in my bathroom? A: We usually recommend against installing carpet in a bathroom because it makes cleaning the floor difficult and presents sanitation issues. 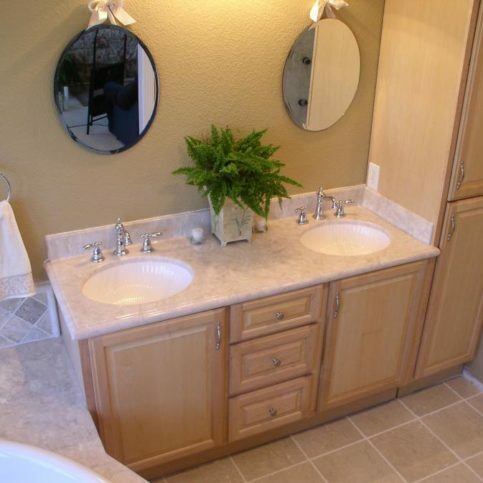 If you want carpeting in front of the vanity, that might work, but we don’t usually recommend it. There are a lot of great flooring options that are more suited to use in bathrooms. Tom Todd is a 24-year veteran of the remodeling industry and owner of Bay Bathrooms and Kitchens, a Diamond Certified company. He can be reached at (650) 376-0866 or by email. A: A cat person. Some of my neighbors and I have started rescuing abandoned dogs and cats that end up in our neighborhood and taking them to local shelters. Since I tend to rescue more cats than dogs, I’ve come to have a fondness for felines. A: River’s End Restaurant & Inn in Jenner. A: Mike, the one-eyed monster from “Monsters, Inc”. Shower. In particular, you want to focus on areas where the shower surround meets windows, the wall and the tub. Any crack that forms in these areas, even if only a hairline, can allow a tremendous amount of water to penetrate the substrate and cause water damage. Make sure all of these areas are well-sealed with caulking, and be sure to reapply caulking annually. Toilet. If your toilet becomes loose at the seal, a leak can develop beneath it. It’s easy to check if your toilet is loose— just try to move it a little bit; if it wiggles, tighten the screws adhering it to the floor. Also, be sure to keep an eye out for water around the base, a telltale sign of a leaky seal. Sink. 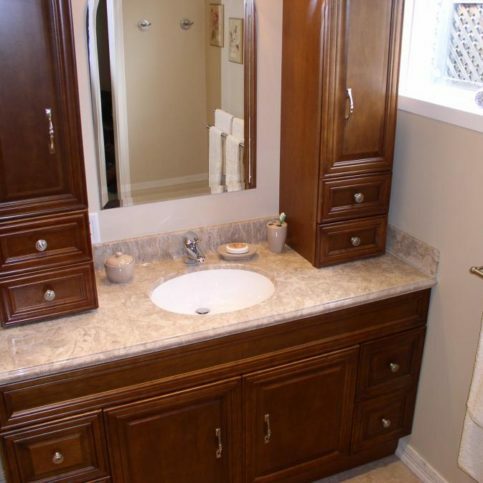 Another important area to monitor is the cabinet beneath your bathroom sink. Each time you open the cabinet door, scan the area for signs of moisture, including the p-trap and the water supply lines. Also, inspect the sink countertop area and make sure the seam between the splash guard and the wall is well sealed. By inspecting these areas throughout the year and applying caulking where needed, you can prevent water damage and maximize the longevity of your bathroom fixtures. 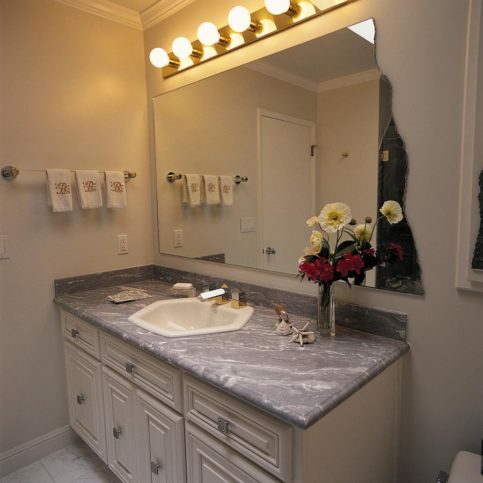 SAN JOSE — Host, Sarah Rutan: Replacing a rotted-out bathroom fixture can be expensive. The good news is, a little annual maintenance will go a long way toward preventing this. Today we’re in San Jose with Diamond Certified Expert Contributor Tom Todd of Bay Bathrooms and Kitchens to learn more. Diamond Certified Expert Contributor, Tom Todd: Most of the bathrooms that I replace are due to lack of proper yearly maintenance. I’d like to point out a few areas of concern that you can keep an eye on yearly. And with about $10 of caulking, you can save yourself thousands of dollars in bathroom replacement costs. So, the first area I’d like to share is – is the shower stall. The areas of concern are going to be where the shower surround meets windows or bathtubs. Any type of little crack that opens up between these materials, even if it looks like a hairline crack, will allow a tremendous amount of water to penetrate underneath the [00:00:53 sub stream], and damage the building. So, you want to keep an eye on this area here. Around windows. And between the vinyl or tile and the tub. These areas should be well sealed with caulking. The other area is your toilet. Toilets can get loose. The way I check a toilet is to just move it a little bit, try to move it, and if it – if it wiggles, I’ll tighten it up a little bit. And that will keep the seal between the toilet and the floor from developing a leak. The other area that you can monitor every time you open up the doors is the sink base cabinet. You want to keep your eye on the pea trap underneath. And the supply lines. And check for leaks. The next area of concern would be the countertop area. You want to check the splash. Make sure that the wall between the splash is well sealed. If you follow these simple steps, you can avoid possible water damage, and enjoy many years with your new bathroom remodel. Bay Bathrooms and Kitchens : Average 10.0 out of 10 based on 22 unique customer surveys of customer satisfaction. Don't hesitate to give them a call. I say, responsive, quick, and to the point. That he knew what he was doing, and helped save money by getting a lot of it covered through product warranty. I would say, the speed in which they completed the job. They are honest and have competitive pricing. The honesty, I didn't feel like I needed to worry about being ripped off. I would like to tell others that the company is really great at communication and flexibility. They know a lot about energy efficiency. The owner, the main guy is nice and extremely helpful. They are a great place for a lot of things you wouldn't even think of, tiles and plumbing. The plumbing portion was the most surprising to me. I've told a friend or two in the past that they'd have no problems while working with Tom. There were no surprises or any issues. I got exactly what I expected. Tom does what he promises he's going to do, and he gets it done in a timely manner. They're punctual. If they say they'll be there at a certain time, you can bet your bottom dollar they're going to be there. They don't fiddle around, and they stick to their timeline. The best would have to be their punctuality, professionalism, accuracy, and attention to detail. Tom was very detail oriented, and he made sure he explained everything. We really understood why things were being done a certain way. The overall process from start to finish was very easy. I can't think of any other way to put it than just saying it was easy. They're timely, very professional, and I'm totally satisfied with the end result. I would highly recommend Bay Bathrooms And Kitchens. Tom is an expert, and he really knows what he's doing. He was very friendly, and he did exactly what we agreed on. He was always very clear in his explanations, and I never felt like I wasn't kept informed. There are many words that come to mind when I think about Mr. Todd. I think he's meticulous, responsible, thorough, trustworthy, honest, and he does an extraordinary job. I really liked how quickly he was able to help me, in sort of an emergency situation. I felt like my needs were his priorities. They did a good job. They stayed on the budget, they didn't upsell me, and everything turned out the way I was expecting it to. The owner is communicative, honest, reliable, and knowledgeable. He's easy to work with, and he treats his clients with the utmost respect. They were very informative, and they did line-by-line items. If we wanted to change something, we could. They put handles in the shower. They were very punctual. The holidays were coming up, and they got it done when they said they would. I was very satisfied.